You and a partner both feel like square pegs being pushed into round holes, but you don’t have to break up. Just change the geometry. Heated speculation about what’s amiss is much ado about nothing. Accent the positive and things will turn out that way. Can you trust a loved one’s promise to reform? Maybe. The onus is on this person, not you, so adopt and wait-and-see attitude. You need the support of a curmudgeonly manager if you want a project to move forward. Make your pitch. S/he’s not the hard sell you think. An agreement you enter into quickly will wind up having more staying power than expected. Your instinct is spot-on. Used to doing things moment-to-moment, it’s sometimes hard to get a grasp of the big picture. Let events guide you rather than vice-versa. This is an amazing time when you’ll regain a lot of lost ground. It’s exciting, but don’t push. You don’t want to overstretch your reach. It’s time to seek assistance with something you’ve been struggling with. What looks intimidating one-on-one is infinitely manageable with the right back-up. Those who pledged support need some reminding. A gentle nudge here or a follow up text there is all that’s needed to get them to keep their end of the bargain. Don’t mistake a thick hide for indifference. The person you’re talking to cares, but you need to speak to him in a way he understands. 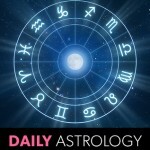 The new moon in your sign signals a future full of new faces. One of these will become a very important person in your life. Just because others miss what’s important doesn’t mean you should clue them in. Don’t penalize yourself for being savvy. Press your advantage.